Often power and success go hand in hand with age and experience, but this is not necessarily always the case. Some of the most exciting startups and most important global movements are being led by inspiring figures who are still very much in the prime of their youth. Leaders League has highlighted eight of the most powerful leaders under the age of 30 for this month’s Leaders Wisdom Journal. 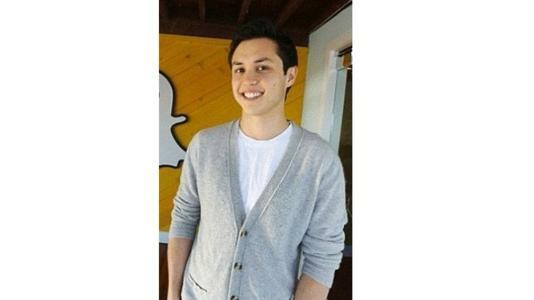 Bobby Murphy, 29, Co-Founder & CTO, Snap Inc. The lesser-known co-founder of Snap Inc., Bobby Murphy wields a considerable amount of power within the multi-million dollar Los Angeles-based firm. As company CTO, Murphy is responsible for the engineering teams and is thought to head up Snap Labs, which works on top-secret, unannounced products. After meeting Spiegel at Stanford University, where they were members of the same fraternity, the pair began to work on app creation, along with another friend Reggie Brown (who would later be ousted from the rapidly growing startup). Snapchat was not the duo’s first venture, prior to its creation they launched a failed app called Future Freshman, which offered high-school students advice on applying to universities. Failure was short-lived, as the pair went on to launch Snapchat, originally marketed as Picaboo, in 2011. Murphy promotes the importance of content creation in the development of Snapchat and sees it as a camera company above all. In 2014, he was named alongside Spiegel as one of Time’s 100 Most Influential People and in 2015 he became the second-youngest billionaire in the world (after Spiegel) according to Forbes. Selena Gomez has now spent two years as the most followed person on Instagram, the site recently revealed, with around 133 million followers, which surely gives some indication of her power and global reach. The 25 year old former child actress was born and grew up in Texas, before moving to Los Angeles with her mother after winning a lead role in “Wizards of Waverly Place.” Her success has not waned, having taken on both film and television roles she has also pursued a lucrative music career and recently tried her hand behind the camera as an executive producer for the Netflix series “13 Reasons Why.” Despite physical and mental health struggles, which have led her to spending time in rehab and undergoing treatment for an autoimmune disease, Gomez has continued to put her fame to good use. She became an ambassador for Unicef in 2009 and has been active in various campaigns, advocating for the world’s most vulnerable children and organizing charity concerts. When Hong Kong billionaire investor Li Ka-shing decided to reach out to an exciting new London-based tech startup, he surely did not expect to find that the entire app was powered by one 15 year old schoolboy. This did not deter investment though, and d’Aloisio received $300,000 of seed round funding in his app Summly, which uses an automatic summarization algorithm to condense and summarize news articles. He became the youngest person to ever receive venture capital funding and soon after built a strong network of angel investors, including Stephen Fry and Ashton Kutcher. In March 2013 the app was acquired by US internet giant Yahoo for a staggering $30 million dollars, and D’Aloisio took on a project manager role with the firm, helping develop Yahoo News Digest, using the Summly technology. The app would go on to win a prestigious Apple Design Award in 2014. D’Aloisio’s thirst for innovation is seemingly never-ending, having left Yahoo to take up studies at the University of Oxford, he is now working on a new app. This new venture, Sphere Knowledge, allows users to connect and chat with verified experts and has already managed to raise significant venture capital funding. Deprived of what she saw as a basic human right at the age of 11, Malala Yousafzai decided it was her mission to fight for every girl’s right to twelve years of safe, free and good-quality education. A Taliban target in her home country of Pakistan, after she began to speak out about their ban on girls in education, Malala narrowly survived a brutal assassination attempt on October 9th 2012; she was transported to the UK for treatment, where she would remain. After returning to school in the UK less than six months after the attack, Malala began to speak up for the rights of girls and founded the Malala Fund with her father in 2013. The Fund operates primarily in Pakistan, Afghanistan, India, Nigeria, Lebanon and Jordan, countries where girls are commonly deprived of a secondary school education, seeking to create a culture in which every girl can learn and lead without fear. In December 2014, Malala was awarded the Nobel Peace Prize along with Indian activist Kailash Satyarthi and in October 2015, Davis Guggenheim’s documentary “He Named Me Malala,” was released to spread Malala’s message globally. As of September 2017, she studies Philosophy, Politics and Economics at the University of Oxford.. The story of how Daniel Houghton became CEO of Lonely Planet in 2013, could certainly form the basis of a Hollywood screenplay. After graduating from the University of Western Kentucky and working as a freelance photographer, one of Houghton’s films caught the eye of billionaire tobacco magnate Brad Kelley, who invited to co-found NC2 Media. When Kelley decided to acquire Lonely Planet from the BBC for $77 million in 2013, he immediately made his young protégé CEO. As a CEO, Houghton has made bold, dynamic changes to Lonely Planet; one of his first tasks was laying off one fifth of the company’s employees, most of whom worked on their signature printed guidebooks. Houghton prioritized the digitization of Lonely Planet, through apps such as Guides, a free mobile app with guides for 38 different cities worldwide. It seems to have worked, just a year after Houghton started the job, digital content accounted for 30% of Lonely Planet’s revenue and printed guidebooks had also had something of a renaissance, with sales up 27%. On February 19th 2017, Susan Fowler published a blog post which would go viral and rock Silicon Valley startup Uber to its very core. Entitled, “Reflecting On One Very, Very Strange Year at Uber”, Fowler exposed a culture of sexual harassment and deep-seated misogyny within the firm. Despite reporting multiple incidents of sexism to HR, and providing indisputable evidence, Fowler was consistently ignored, belittled and later denied transfer rights in spite of her immaculate performance record. Susan Fowler admitted she had been overjoyed when she originally secured the job with Uber, a firm which prided itself on being self-assuredly “women-friendly” in a profession which is decidedly male-dominated. When Fowler realized this wasn’t the case and nothing was going to change, she left Uber, but not without penning her powerful testimony. Fowler’s post formed one of the most influential pieces of evidence in a year of allegations that have brought down some of the most important male figures. Today, Susan Fowler is editor-in-chief of Increment, a quarterly publication from Stripe, another hugely successful and dynamic Silicon Valley startup. Limerick-born Patrick Collison makes up one half of the formidable sibling duo behind internet payment firm, Stripe, which processes billions of dollars worth of payments annually in 25 different countries. Growing up in rural Ireland, the brothers took up coding and would compete as children, Patrick Collison would go on to study at MIT, before dropping out to concentrate on app development. When a Silicon Valley venture capital fund, Y Combinator, showed interest in their app it prompted a permanent move to the capital of tech startups, San Francisco. Their first app, Auctomatic was sold for $5 million in 2008, rendering Patrick Collison a millionaire while still in his teens. The Collisons are known for their hands-on approach to Stripe, which until recently saw them personally meet with and interview potential job candidates. Stripe has now grown from a relatively unknown and somewhat unconventional Silicon Valley startup to the online payment service of choice for internet giants such as Facebook, Slack and Alibaba. Beatrice Fischel-Bock is the co-founder of Hutch, a home interior design app and website which allows users to upload photos of rooms, virtually re-decorate them and purchase the relevant pieces to make them a reality. The idea came to her while studying architecture and design at George Washington University, where she began to virtually redesign friends’ apartments. Hutch offers a free alternative to the often costly and time-consuming interior design process, users are very much a part of the process, rather than simply being connected to interior designers and all the pieces offered through the app are affordable. By the time of her graduation, Fischel-Bock had raised one million in revenue from her app, before taking it to the ABC show Shark Tank, where she caught the eye of Tinder founder Sean Rad, who now sits as chairman for the firm. The young entrepreneur recently raised $5 million in seed funding and has given TED talks on her powerful business mantra.